New Page Books, 9781632650870, 224pp. Leah Guy believes that disconnection is the root of all fear, and the attempt at letting go causes more problems than it solves. Debunking the myth of detachment and other popular New Age ideologies, she emphasizes that there's no escapism in emotional healing. Rather, the process is about putting the personal pieces of your heart, mind, and soul back together again. 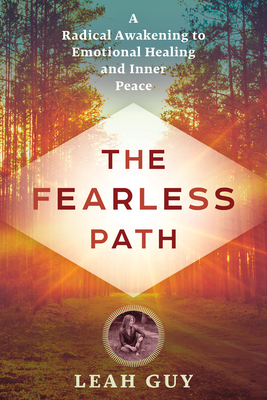 The Fearless Path offers a radical approach that will heal trauma, fear, heartache, and mental and physical health. Why "letting go" is the worst advice for healing, and how to really move on. How to understand the stories your energy system tells about your mind, body, and spirit--and how to rewrite the script. How to transform fear and anxiety into love and inner peace. Why the law of attraction isn't all it's cracked up to be. Find strength and serenity in the midst of a personal storm. Leah Guy is an intuitive transpersonal healer, spiritual teacher, professional speaker, and media personality. She offers wisdom from a lifetime of personal triumphs and more than 22 years helping clients transform their lives from fear and disconnection to heart-centered, soulful living. She is a sought-after inspirational speaker who has appeared on numerous television and radio shows on topics such as meditation, the mind-body connection, energy medicine, intuition, and addiction, as well as emotional and spiritual healing. Also known at The Modern Sage, she owns the Modern Sage Healing Center and product line, and A Girl Named Guy Productions, LLC. Leah lives in Jersey City, New Jersey. For more information, visit her online at ModernSage.com or across social media channels.